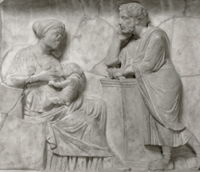 The sarcophagi shown below can be used to examine changing notions of childhood over time in the ancient Roman world. Death is part of every society, but the rituals and objects surrounding death have varied across centuries and continents. They can often reveal many things about the role of children and families within a culture, from the nature of grieving to representations of childhood, from artistic preferences to child rearing norms. One basic question is whether childhood in pre-modern societies was recognized as a separate stage of life and children were valued; this has been debated since Ariès’ book of 1962. Dating from the first half of the 2nd century, CE, this Roman marble sarcophagus was an expensive funerary item created to commemorate the death of a young boy. The sarcophagus depicts a series of points in the life cycle of a child, from a newborn infant to a young child at play to an older child engaged in studies. The epitaph was dedicated by the boy’s parents and the boy’s name indicates that he was a freeborn Roman citizen. Reading Ariès, Centuries of Childhood, at least the Introduction; and Letter 4.2 of The Letters of Pliny the Younger, provides us with the evidence to challenge Ariès’ claim about the “ignorance of childhood” in pre-modern ages that relied on a small range of literary sources. It is also important to understand the history of childhood studies and on available sources (including the nature of the material as well as the hazards of surviving literary, legal, archaeological sources). Pliny wrote apparently unsympathetic comments on the death of Regulus’ son in the context of upper-class Roman male expectations of fatherhood, emotions, and Pliny’s deep hostility to Regulus. Pliny’s letter also shows the independent wealth of a mother and the possibility of a young male coming into independent wealth, either by the death of his father or by the legal technicality of being freed (“sold”) from the power (patria potestas) of his father. The comparatively large quantity of funerary commemoration of prematurely-dead children helps put Regulus’ grief into perspective. Regulus’ son had survived early childhood, so his death, in his early teens, was the more tragic. These sarcophagi raise the question of parental grief and grieving in a society of high mortality, challenging the claim sometimes made of indifference to children’s deaths in societies with high rates of infant mortality. Each of the sarcophagi depicts a sequence of life-stages, and each can be dated to the first half of the 2nd century CE. By contrast with simple epitaphs, these are quite expensive artifacts. 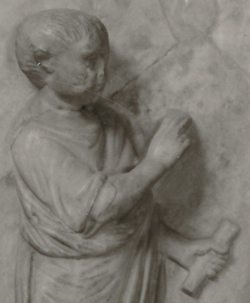 On the first sarcophagus, the boy’s name, M. Cornelius Statius (in the dedicatory form ‘M. CORNELIO M. F. PAL. 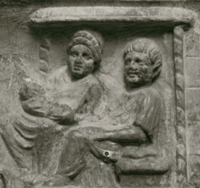 STATIO’), indicates that he is a freeborn Roman citizen. The epitaph has been dedicated by the boy’s parents (‘PARENTES’). The family’s dress and attributes, and the quality of the artifact, suggest a well-to-do family. The scenes depict the newborn infant, the child at play, and the child with teacher. The mother appears to be breast-feeding which raises the question about whether this was normal (in a society of wet-nurses) or whether the scene was idealized. The scroll in the boy’s hand as he recites his lesson to a teacher raises questions about many aspects of education, such as the availability of “books,” importance of oral performance and memory, and existence of schools and private tutors. It also sparks discussion of children’s modes of play, their engagement with animals (helping put young Regulus’ pets in context), and children’s place in the family. 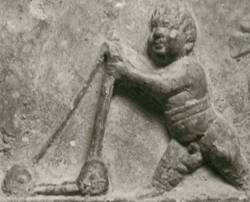 The second sarcophagus also depicts an infant (in the arms of one of the parents in the carriage ride on the right-hand side of the stone) and play (as a toddler with a wheeled pusher or scooter, and a little older with a pet goose). But the last scene is of death, foreshadowed by the torches, often symbols of funerals, at each end of the sarcophagus. The parents again ride in a carriage, with the slightly older child between them, and they are led by a winged Cupid foreshadowing the child’s soul ascending to heaven. At some stage in the discussion, students often raise the issue of the nature of the sarcophagus as an artifact. This leads to some questions about the disposal of the dead and how frequently sarcophagi were used. Epitaphs for children lead to issues of demography. Cremation remained dominant for many centuries, so why the growing popularity of sarcophagi in the 2nd century, well before any real impact of Christianity? Students also discuss the role of fashion and the greater scope of sarcophagi for sculptural decoration. Ariès, Philippe. Centuries of Childhood. New York: Vintage Books, 1962. Bradley, K. Discovering the Roman Family: Studies in Roman Social History. New York: Oxford University Press, 1991; Dixon, Suzanne. The Roman Family. Baltimore : Johns Hopkins University Press, ©1992; and Rawson, Beryl. Children and Childhood in Roman Italy. Oxford : Oxford University Press, 2003. Sherwin-White, A. The Letters of Pliny. A Historical and Social Commentary. Oxford : Oxford University Press, ©1966. 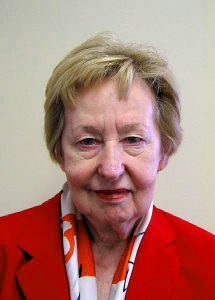 Huskinson, Janet. Roman Children’s Sarcophagi: Their Decoration and Its Social Significance. Oxford : Clarendon Press ; New York : Oxford University Press, 1996, illustrations 1.23 and 1.29. Originally published by Children and Youth in History under a Creative Commons Attribution-ShareAlike 3.0 Unported license. This entry was posted in Archaeology, Art History, History, Roman, Rome. Bookmark the permalink.